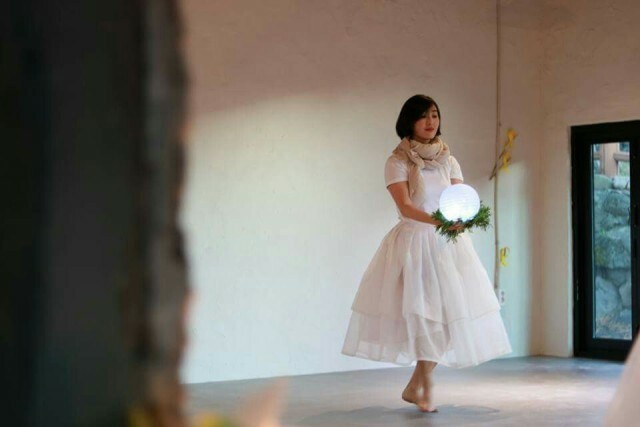 Culture and history at the W Stage JejuThe W Stage at the Ohyundan gives Jeju residents a space to enjoy culture in one of the most historically important parts of Jeju. Jeju’s old town is one of the most historically important places in Jeju. It is an area that is filled with Jeju’s traditional culture and people who choose to wander around this part of town are sure to find many hidden historical spots. One such spot is the Ohyundan which is a memorial for the five scholars of Jeju. This space, full of cherry blossom trees and nature, is an oasis of calm in the middle of the city. The scholars the memorial is dedicated to were all from the Joseon period. 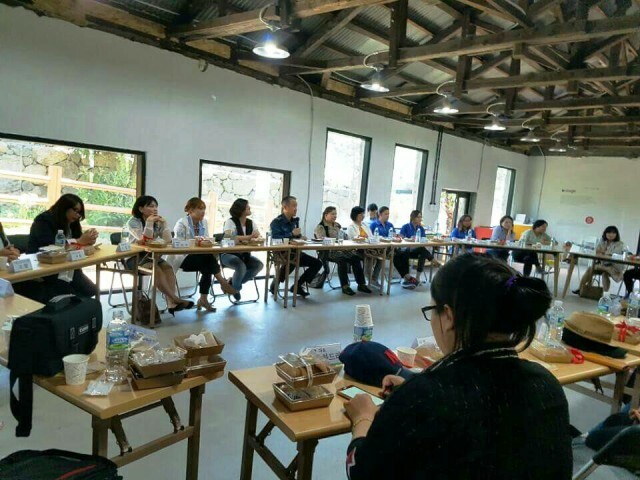 After spending time on the mainland, these people dedicated their lives to education and ensuring that the people of Jeju would have access to education. The area’s historical importance is cemented as it is also the location of the Jeju Fortress, which dates back to 1411, and Jeigak tower, which was used as a defense tower against Japanese invaders. Where our story start, however, is in a building just below the Jeigak tower. This old looking black stone building fits right in with the architecture of the nearby fortress as it is built using the same black stones. However, visitors with a keen eye will be sure to notice a sheen to what looks like newly installed windows. This is because this building has recently been renovated and is currently being used as a W Stage. This is a WCO sponsored space that can be used freely by local residents to organize cultural and educational activities. The building itself used to be Ohyun High School. Of course, the school is named in respect to the five scholars of Jeju. This high school was the first modern school on Jeju and, in fact, it still exists in its current location a little further east close by to Sarabong. The school opened in 1946 and stayed in its location nearby the Ohyundan until 1972. After closing, the building was rented out for various activities including as a taekwondo hagwon. However, since the school closed it never had a permanent owner and despite the undoubted historical significance of the building, it slowly fell into disrepair. By the time the WCO decided to take it on as a cultural space, it had been empty for five years. One of the reasons for this is that the owner of the building wanted to ensure that any future use of the building would fit with the tradition of the building and area. He wanted to ensure that it would continue to be used as a place that could benefit the public, just like the five scholars did all those years ago. Once the owner had decided to allow the WCO to use the space, it became clear that there would have to be some significant renovation to the building to keep it useable. As a building of such importance, this was no easy task and each step had to go through the Cultural Advisory Board to ensure the building and the surrounding area would not be damaged. This intensified when it was found that stones that were originally used in Jeju Fortress were used in the construction of the school building. They managed to incorporate these in the renovations, however, and now, any visitors to the building can see these stones in the steps up to the classroom. The exterior renovations were finally finished in March 2017 and the building was opened, although interior renovations are still being carried out. Since opening, the space has been used for a number of community and culture based activities. 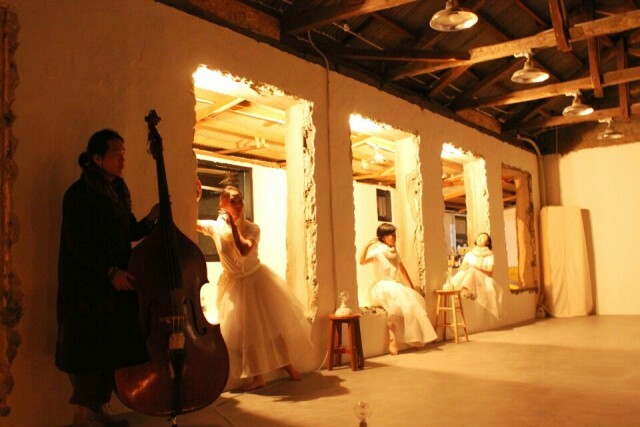 The space has been used for performances, such as a dance performance called “Mother’s Room.” It has been used as a place where multicultural families can meet and receive help adapting to life on Jeju. The strong tradition of education is continuing with regular lectures on topics such as “Korean Modern History” and “Peace in East Asia.” Meanwhile, in August, students from Seoul National University will use the space to educate Jeju youth’s about virtual reality technology. These are all activities that continue the building's tradition of being used as a space for the public good. 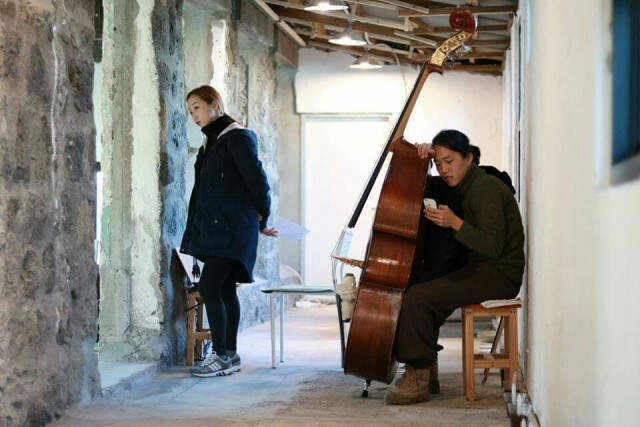 By giving Jeju residents a space to use, the W Stage hopes to improve people’s access to cultural activities. In fact, anyone can sign up to use the space (for free) and there are only two conditions that have to be met. These are that the event is free to access and that the space is not used for any political or religious aims. Now, despite the struggles of renovation, residents of Jeju are able to experience cultural activities in one of the most historically and culturally important parts of Jeju city.